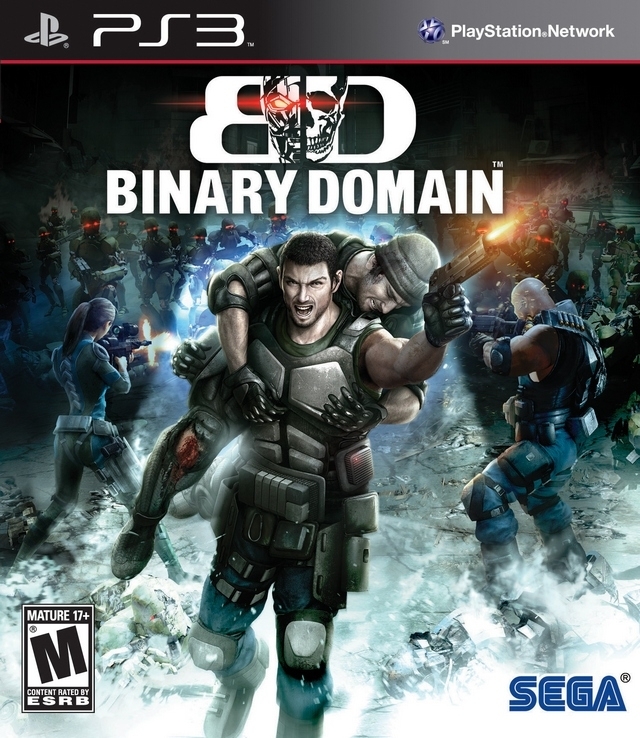 Binary Domain is a third-person shooter video game developed and published by Sega for the Playstation 3, Xbox 360, and Microsoft Windows. Set in Tokyo 2080, global warming has caused world wide flooding, leaving three quarters of the world's cities uninhabitable. The new world, built by robots, has been raised on the foundation of the old cities, leaving them to rot. With robotics advancing to the point where human is indistiguishable from robot, the "New Geneva Convention" was set into law, banning research into robots that could pass for humans, called "Hollow Children" and a global task-force called "Rust Crews" were created to deal with breaches of the convention. But when a Hollow Child attacks Bergen's headquarters in Detroit, a team of Rust Drews is sent after Yoji Amada, founder of the Bergen's competitive corporation Amada. and salvage some more money from it. Binary Domain is a really good game!! hell Its a LOT of FUN!